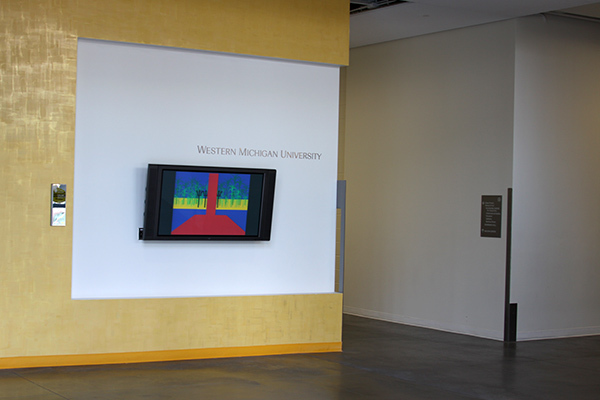 Flag Metamorphoses at: Richmond Center for Visual Arts, Western Michigan University, Kalamazoo (MI), USA, 2008. 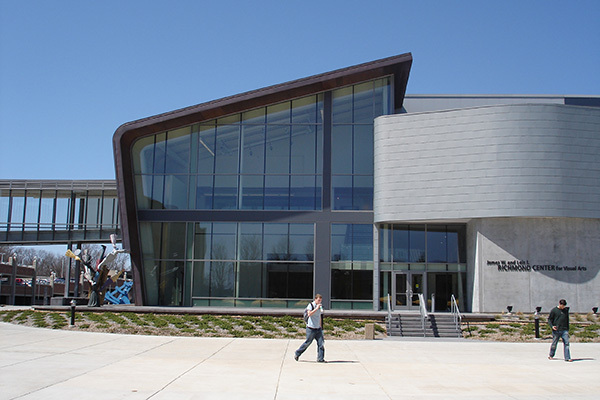 Richmond Center for Visual Arts, Western Michigan University. Photo courtesy of: © Sylvia Majewska. Flag Metamorphoses in the Atrium Gallery at Richmond Center for Visual Arts (downstairs). Animation: UK - BARBADOS, by Chris Joseph. Animation: CONGO - UGANDA, by Anke Landschreiber. Flag Metamorphoses in the Atrium Gallery at Richmond Center for Visual Arts (upstairs). Photos courtesy of: © Adriane Little. 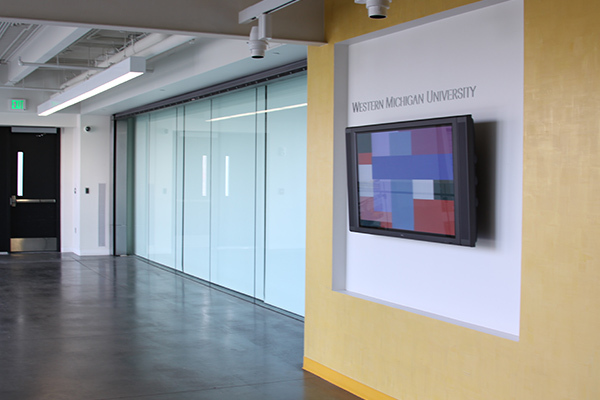 17 Days Video Series is curated by Adriane Little, Associate Professor of Art Photography & Intermedia at Gwen Frostic School of Art, Western Michigan University, Kalamazoo. Adriane Little arranged with Myriam Thyes to offer her spring 2008 web class to participate in the submission process for Flag Metamorphoses. 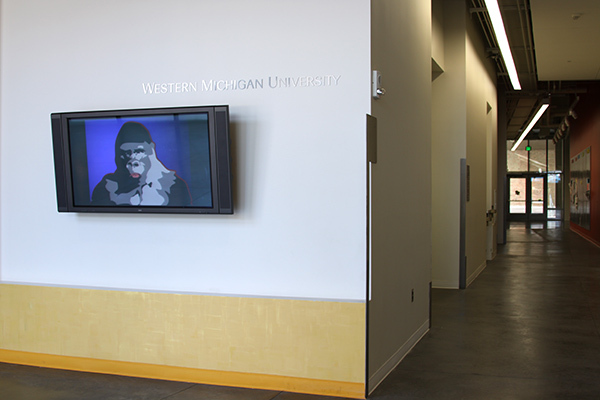 From six student submissions, Thyes selected three students’ Flash animations, which began to exhibit with the project as of April 2008. These three students are Sonya Mansour, Stacy Averill and Natalieann Rich.